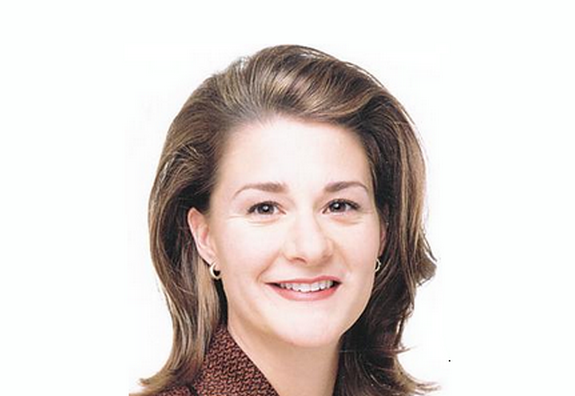 Melinda Gates is an American businessperson and philanthropist. She is the co-founder of the Bill & Melinda Gates Foundation and one of the signatories of the 2015 Open Letter To World Leaders. The letter is part of the action/2015 campaign and asks for further action to address the critical issues of poverty, climate change and equality. There are moments in history that become turning points. In our view, 2015 will be such a moment. It is the most important year for global decision-making since the start of the new millennium. We believe it’s just possible that we could end 2015 with a new global compact – an agreed pathway to a better, safer future for people and planet that will inspire all the citizens of the world. We can choose the path of sustainable development. Or we might not – and regret it for generations to come. Which side of history will you be on? There are millions of voices you can’t afford to ignore – the voices of the people you represent. They are voices of all ages from every corner of the planet – the voice of a young girl currently deprived an education… of a pregnant mother deprived healthcare… of young people deprived decent work… of a family from a minority group fearful of discrimination from corrupt officials… of farmers forced to migrate to cities as climate refugees… and of billions of other people. Their voices will roar ever louder against the inequality and injustice that keep people poor. They – and all who stand with them – are calling on you to come up with a grand new global contract for our one human family – and then deliver on it together. The great news is that in 2015 you have a historic chance to do just that. Two critical United Nations summits will take place this year. The first in September, where the world must agree new goals to eradicate extreme poverty, tackle inequality and ensure a more sustainable planet. The second is the climate summit in December where we must ensure the wellbeing of people today doesn’t come at the expense of our children’s futures. Together with critical discussions on financing, these opportunities are the biggest of our lifetime. We know from past efforts against AIDS, malaria, preventable diseases and saving the ozone layer that when we come together, so much can be achieved. Yet, with just months to go before these summits, few leaders are playing the leadership roles we need. We see climate progress but not yet of the scale that is needed, and a set of goals that are hugely ambitious but will be meaningless without brave financing and implementation agreements led from the very top. If this does not change, we fear you and your fellow leaders could be sleep-walking the world towards one of the greatest failures of recent history. It’s not too late to rise to the occasion. We’re asking you to help lead that change. Let’s be clear: the actions we take in 2015 will decide which way the world turns for decades to come. Please take the right path.